Intussusception is an acquired invagination of the bowel into itself, usually involving both small and large bowel. Ileocolic intussusception is the most common cause of small bowel obstruction in children and occurs in at least 56 children per 100,000 per year in the USA. Intussusception is an emergent condition where delay in diagnosis is not rare and may result in bowel obstruction, venous congestion, subsequent bowel necrosis, and perforation. Ultrasound plays a key role in both diagnosis and management of this entity. 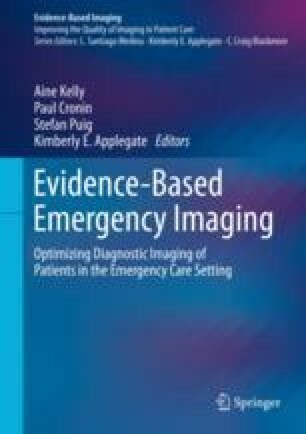 This chapter provides the evidence summary and tools in these situations.